A complete guide to the 5 best rooftop bars in Beirut in 2019. For starters: Which are the best rooftops in Beirut? Here you'll find all info you need about each rooftop. Opening hours, dress code, pictures, maps and much more. 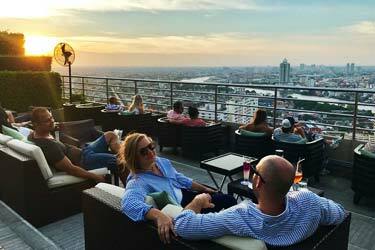 So, which is the best rooftop bar in Beirut? 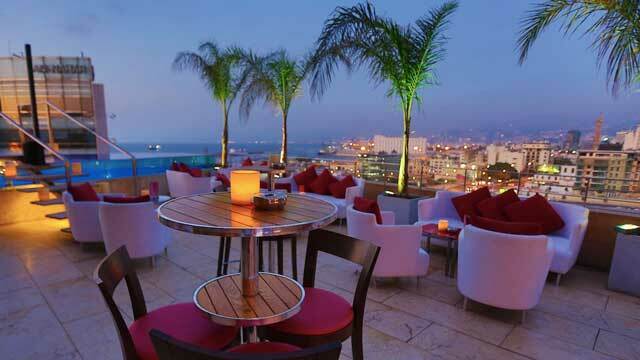 Just scroll down and find the Beirut rooftop bar best suited for you. A city that used to be called “The Paris of the Middle East” and recently recognized as one of the New 7 Wonders Cities is bound to deliver amazing memories. Or use the Beirut rooftop map in the bottom right corner. Relocated since of April 2018, now residing at the roof of the Seaside Pavilion in the Beirut New Waterfront, now offering fantastic panoramic views over the ocean, along with great vistas of the Beirut skyline. 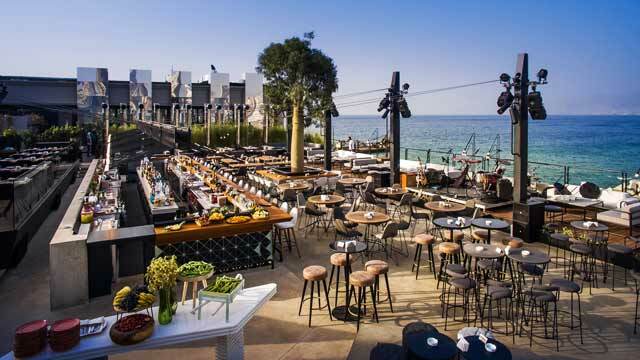 Also a brand new and modern decor on the terrace, and Iris Beirut really looks beatiful. The very large and open air terrace comes with alot of seating, and here you can enjoy fantastic and well crafted cocktails along with a good selection of both Asian and American inspired dishes. 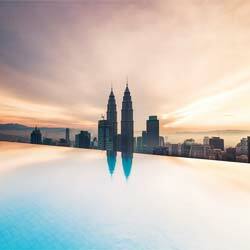 Vibrant, sophisticated and classy in ambience, Iris is a hot-spot for the trendy crowd. 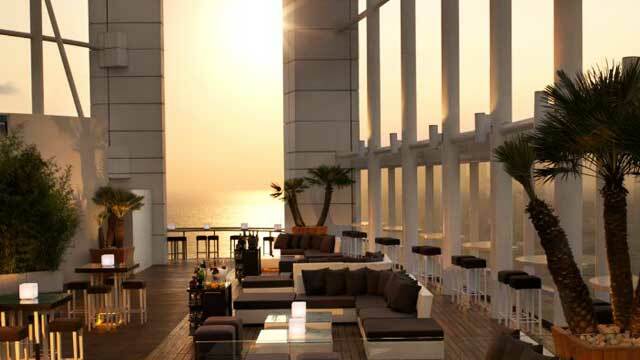 On top of the luxurious Four Seasons Hotel Beirut you find Beirut's highest rooftop bar. With an alltitude of 119 meters and location close to the water and the popular Zaytounay Bay, the ocean views from here are quite breathtaking. At the open-air terrace you can choose between seats in the large and comfy lounge sofas or more daring bar stool spots right at the edge, overlooking the ocean and the Beirut skyline. Enjoy the chic and relaxed ambience, lounge DJ tunes and a selection of Asian fusion bar bites, hand crafted sushi and fresh classic and signature cocktails. 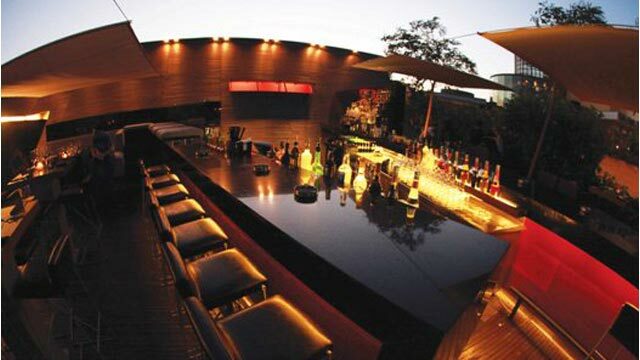 SkyBar is the place for mixing sky high vibes with beautiful views of the Beirut skyline. Situated on the roof of O1NE Building in the vibrant area of Beirut New Waterfront, this nightclub / rooftop bar has helped lift the whole nightlife scene in Beirut. This is where world-famous artists and DJs come to perform in front of party-hungry guests. Only open during summer weekends, the roof has space for about 2 500 people and is decorated in a stylish and futuristic design, complete with state-of-the-art technologies. 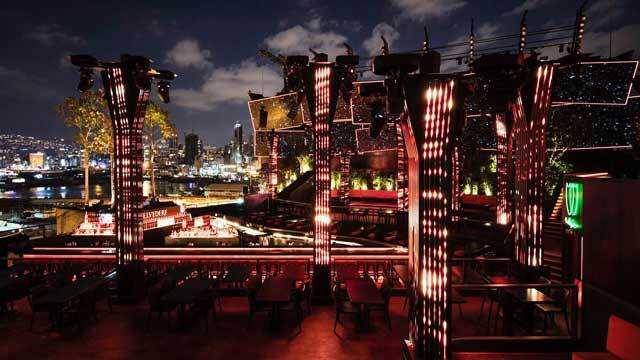 This terrrace bar is located on the roof of the Virgin Megastore in downtown Beirut. 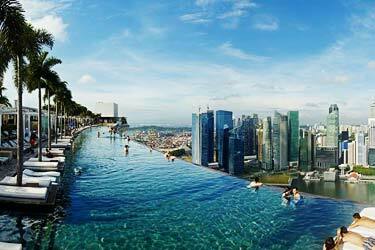 Great views from the roof terrace over the city's skyline and water. A cosy and relaxed cocktail bar and pool lounge in the heart of Beirut, located on top of the fantastic hotel Le Gray. From up here you get wonderful views over both the Mediterranean and the Beirut skyline. Enjoy loungy night time vibes with perfectly crafted cocktails and a nice selection of bar bites and a full Sushi menu. 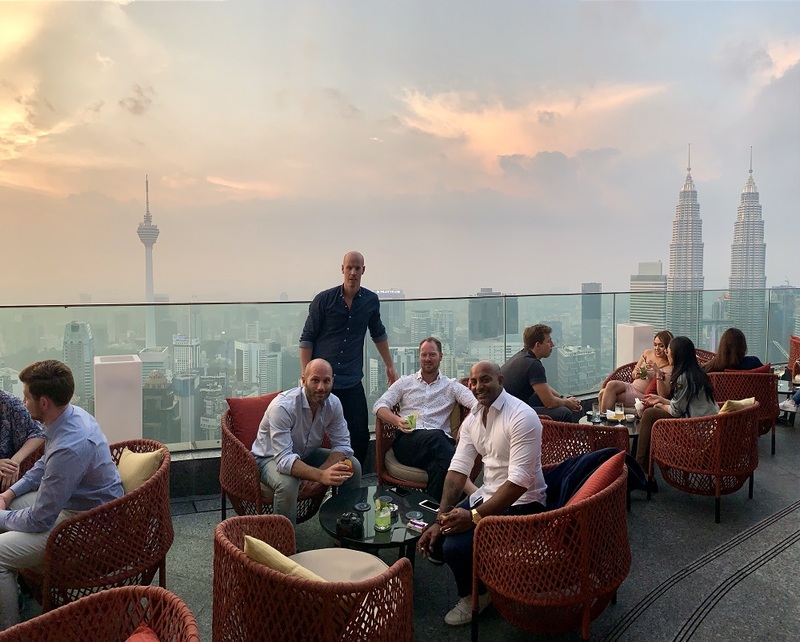 During datime the terrace is pool lounge for guests at the Le Gray hotel, which also holds the fantastic fine dining rooftop restaurant Indigo on the Roof and the winter time indoor skybar Bar ThreeSixty. Discover the biggest collection of Beirut activities, guided tours and skip-the-line tickets. Anything you want you'll find right here. 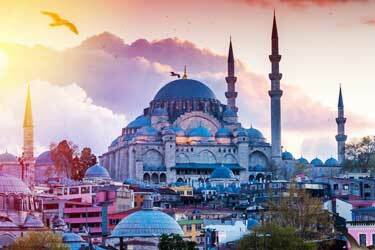 Beirut is a very lively city with a great nightlife and many good restaurants. 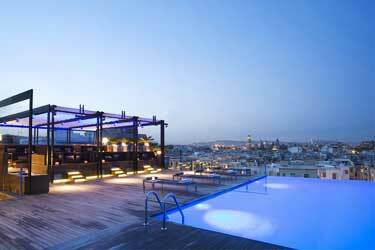 Regarding rooftop bars in Beirut this is one of the best cities in the Mediterranean area. There are some absolutely magical roof terraces here, with equally magical views. Many of the these laces are also nightclubs, which creates a wonderful feeling for those who like it a little bit more lively. Beirut is Lebanon's capital and also the largest city. 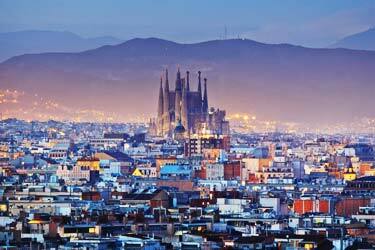 The city is located at the Mediterranean Sea on a peninsula. Here you also find the country's largest harbour. 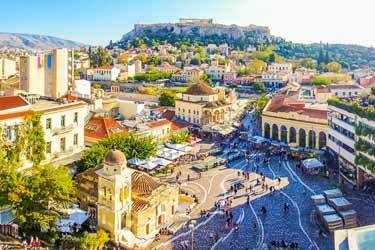 The climate is classic Mediterranean climate with hot summers, mild autumn and spring and a bit cooler winters. 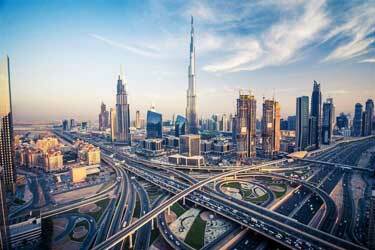 Despite the problems of civil war between 1975-1990, the city rank as one of the top places to travel to in the world.